The Alice Springs Desert Park has successfully produced 14 new resident Thorny Devils. The hatching of the 14 healthy Thorny Devils, Moloch horridus, adds to the Desert Park’s diverse range of wildlife currently available for viewing. The hatchlings took 98 days to incubate and weighed in at a tiny two grams. 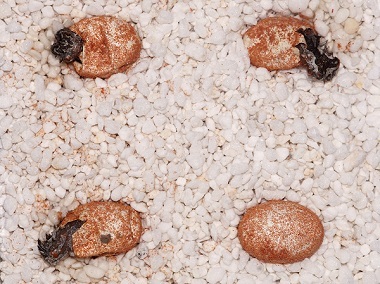 From the 14 Thorny Devils hatched, four are on display at the Alice Springs Desert Park’s nocturnal house, sand country exhibit.